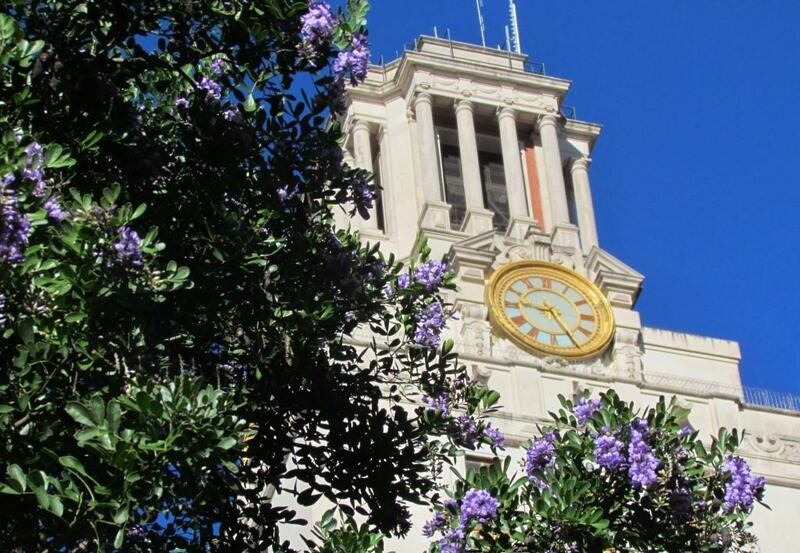 Above: The Texas Mountain Laurel are in full bloom on campus, and the bees are loving it. Spring has come to the Forty Acres, and so has another milestone for the UT History Corner, which just passed the 650,000 visitor mark since it opened in May 2012. Thanks to everyone who has stopped by, and I hope you found something worthwhile! Beautiful photo of the flowers and the Tower! Thank you, Jim. How very happy and proud you must be! To have shared your knowledge, insight and wit with so many people. I am certain that the gods on Mount Olympus are smiling on you.